Who is Tony Hovater? And why did "The New York Times" profile the Nazi sympathizer and fascist? Although Thanksgiving typically brings people together, The New York Times released an article during the holiday weekend that was incredibly divisive — because it profiled the white nationalist Tony Hovater. In the piece, author Richard Fausset focused on many of the mundane aspects of Hovater’s life without explicitly criticizing his hateful beliefs. This led to criticism that The New York Times was normalizing a Nazi sympathizer. And while the publication has since addressed what it was trying to accomplish by featuring Hovater in such a way, that wasn’t enough to justify the story for many people. 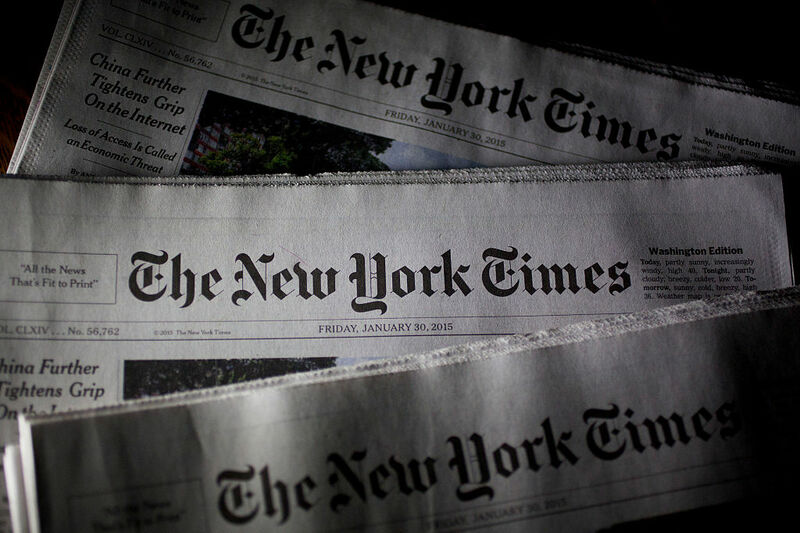 On November 26th, the day after the article was published, New York Times national editor Marc Lacey addressed the outrage that the profile caused. Lacey wrote that the publication wanted to “profile one of the far-right foot soldiers” of the white supremacist rally in Charlottesville, Virginia, which occurred in August 2017 and led to the death of Heather Heyer. Yet people felt the tone of the piece — which called Hovater “the Nazi sympathizer next door,” whose “Midwestern manners would please anyone’s mother” — wasn’t harsh enough. Fausset wrote about meeting Hovater and his then-fiancée (now wife) Maria at Applebee’s. He described the items on their Target bridal registry. He wrote that Hovater is a fan of Seinfeld, has a Twin Peaks tattoo, listens to NPR, and has four cats. Many people on Twitter thought these descriptions overshadowed the fact that the 29-year-old Hovater also thinks races should be separated and speaks approvingly of Adolf Hitler. While The New York Times piece noted that Hovater is not a “star among the resurgent radical American right,” he did help start the Traditionalist Worker Party with Matthew Heimbach in 2015. This extremist group marched in Charlottesville in August and at a “White Lives Matter” rally in Tennessee in October. Hovater spouts his politics online, whether it be in articles for the Traditionalist Worker Party (which fights “for the interests of White Americans”) or on social media, since he calls himself a “social media villain.” He is also a guest on the website Radio Aryan’s podcasts. Beyond these deeply disturbing and hateful associations, the resident of New Carlisle, Ohio, is a “welder by trade.” Fausset noted that there was nothing in Hovater’s past to help explain why he became a Nazi (though the author never directly called Hovater a Nazi) and later, Fausset wrote that the “hole at the heart” of his piece was that he couldn’t answer the “why.” Hovater did mention that he was inspired to become a white nationalist and fascist when he saw white people around the nation who were “genuinely hurting,” when he toured the country with one of the metal bands he played in. He was also angered by the way the media covered the shooting of Trayvon Martin. Yet, why Hovater is what he is is not what has offended people — it’s that some believe The New York Times was dangerously soft on the Nazi sympathizer and racist. See, once you've decided to become a Nazi? I literally don't care about the rest. There were a million 'regular person' things about Nazis in WWII as well. Those things don't matter. What matters is what they allowed and what they did. So who is Tony Hovater? Well, according to The New York Times, he’s just your run-of-the-mill Nazi sympathizer. But his hateful actions and thinking shouldn’t be normalized — no matter how ordinary some aspects of his life are.